Happiness and the law. At first glance, these two concepts seem to have little to do with each other. To some, they may even seem diametrically opposed. Yet one of the things the law strives for is to improve people’s quality of life. To do this, it must first predict what will make people happy. Yet happiness research shows that, time and time again, people err in predicting what will make them happy, overestimating the import of money and mistaking the circumstances to which they can and cannot adapt. Drawing on new research in psychology, neuroscience, and economics, the authors of Happiness and the Law assess how the law affects people’s quality of life—and how it can do so in a better way. Taking readers through some of the common questions about and objections to the use of happiness research in law and policy, they consider two areas in depth: criminal punishment and civil lawsuits. More broadly, the book proposes a comprehensive approach to assessing human welfare—well-being analysis—that is a valuable alternative to the strictly economically based cost-benefit analyses currently dominating how we evaluate public policy. The study of happiness is the next step in the evolution from traditional economic analysis of the law to a behavioral approach. Happiness and the Law will serve as the definitive, yet accessible, guide to understanding this new paradigm. "Does happiness matter? Obviously. Does happiness matter to law? It certainly should. 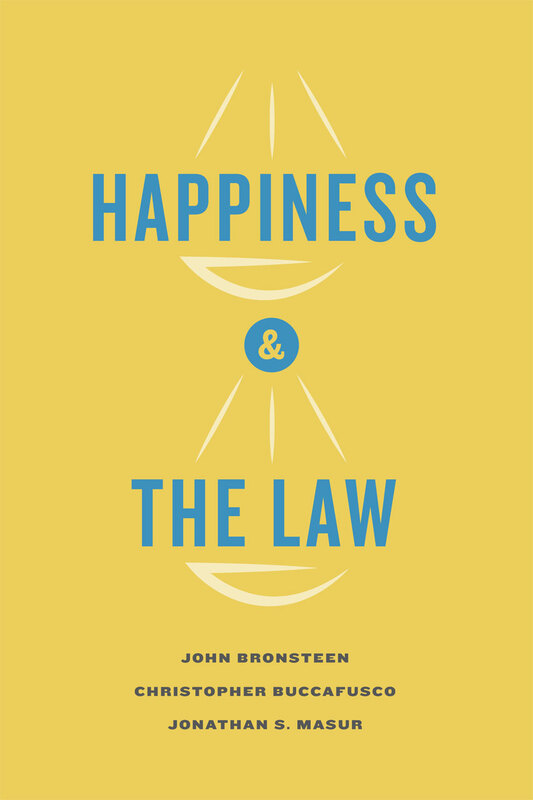 In this provocative, bold, and highly original book, Bronsteen, Buccafusco, and Masur argue that, in numerous areas, our legal system would do much better if it focused on what social scientists have learned about happiness and well-being. It’s a major contribution with implications not only for public policy but also for our daily lives."